Stan Hartling is the developer who brought The Sands and The Palms to Grace Bay Beach. After personally living on secluded Long Bay, Hartling decided to go all in on this 2.5 mile-long beach located on Providenciales southern coast. 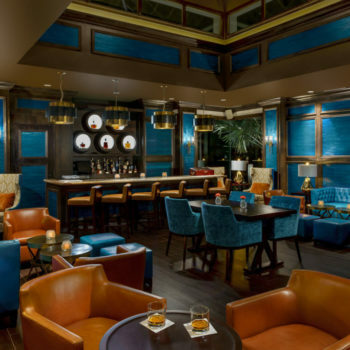 The Shore Club opened to rave reviews in December of 2016, and trailblazing guests are thrilled to find a property that is exclusive, serene, and features custom amenities not found anywhere else. 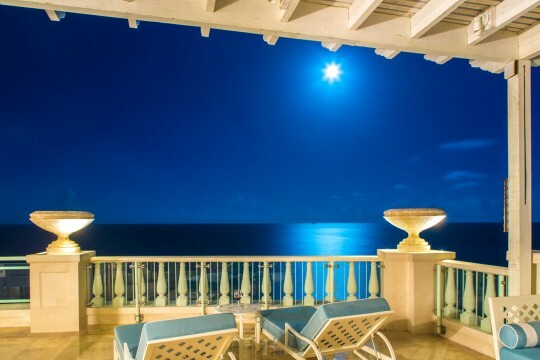 The resort includes classic West Indies architecture, three restaurants, three pools, an oceanfront spa, a tennis court, and wraparound views showcasing a massive expanse of “only in Turks and Caicos” oceanfront. 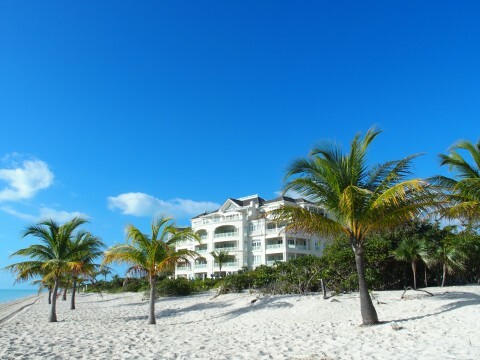 Turn right at the sign marked Shore Club and drive a half mile from Providenciales’ main Leeward Highway. 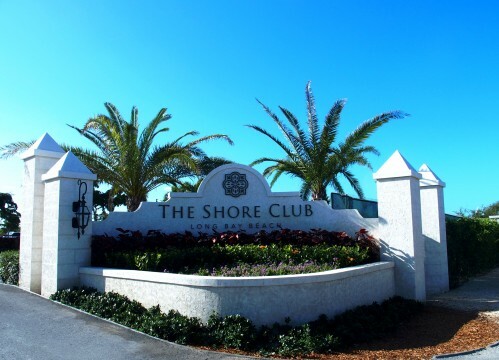 You’ll surge with anticipation upon approaching the Shore Club’s elegant stone gateway. 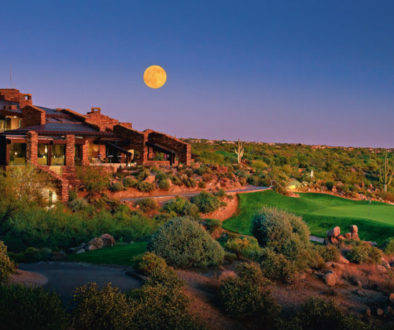 You’ll feel an airy spaciousness at every turn on this 25-acre resort. 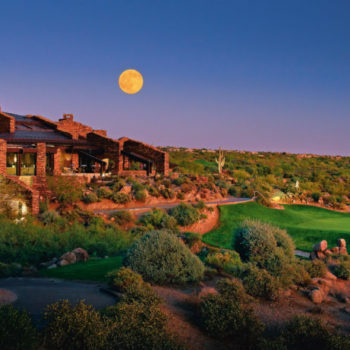 Your connection with abundance is evident inside the sprawling and high ceilinged welcome area and again throughout the property’s walkways. New guests are escorted past the breakfast garden, Sui-Ren restaurant, Colonnade pool with its fire pit in the center, and on to their private quarters. Elevators are specific to your room, and the ride to your suite is one of eager excitement. Once inside your chosen accommodations it’s time for the grand reveal. In each case, an ocean view for the ages. Here is where you’ll catch your first glimpse of what makes The Shore Club’s location on Long Bay so special. 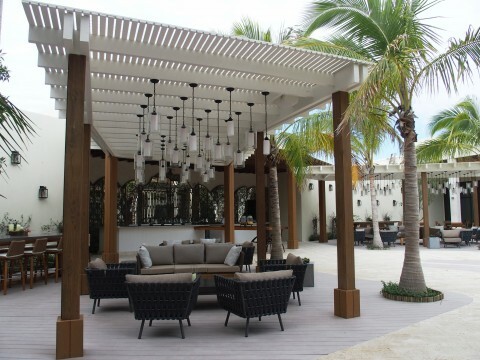 Long Bay was Providenciales’ under-the-radar beach prior to Shore Club’s opening. 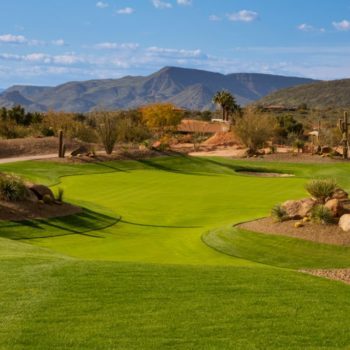 There is one exception to Long Bay’s Cinderella existence. Kite surfers discovered, years ago, that the beach’s tradewinds and shallow water made it a perfect venue for vaulting airborne. 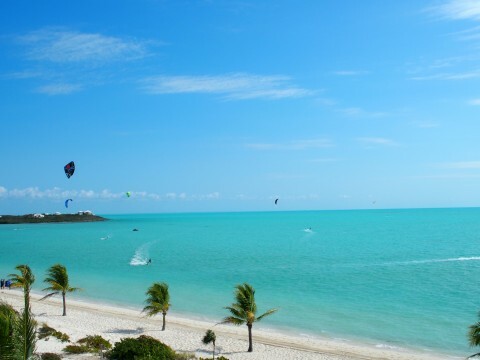 Turks and Caicos Kiteboarding School is located about a half mile east down the beach from The Shore Club. The acrobatics of kiteboard enthusiasts make the Shore Club’s amazing ocean views even more extraordinary. Grab a cocktail or your favorite book and settle in for something fantastic on your wraparound balcony. With nary a sound other than crashing ocean waves, it’s impossible to not watch the hypnotic choreography of kiteboarders in the sky. If you desire even further landscape imagery, about a mile west down the beach are riders on horseback under the guidance of Provo Ponies. If relaxation is numero uno as to why you chose Turks and Caicos’ Shore Club, then prepare to unwind in Caribbean style. The Shore Club features three Dune Spa cabanas that are strategically placed to deliver awesome views of the Caribbean Sea. 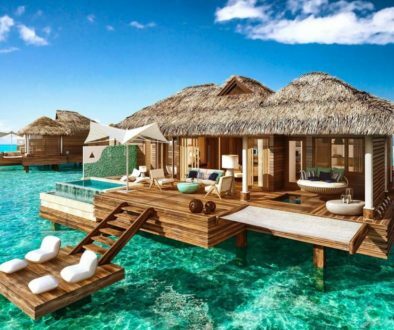 The cabanas are set up for both individual and couple-centric massage treatment sessions. If all this relaxing stirs an appetite, realize that the Hartling Group went to great lengths in making the Shore Club a food lovers haven. The Sui Ren restaurant is the only one in Turks and Caicos to offer a menu that blends Peruvian and Asian-inspired delicacies. 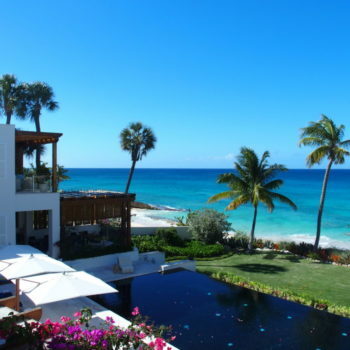 When in Turks and Caicos, you may not want to leave the pool or beach. 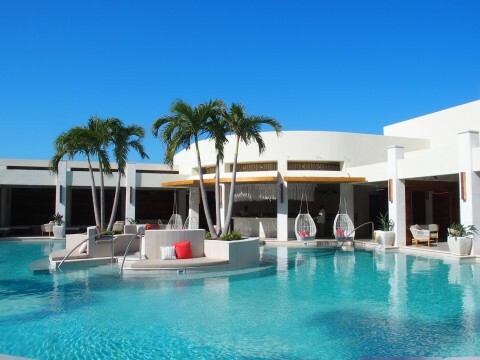 The Shore Club provides personal concierge, butler, and round-the-clock service for savoring food, cocktails, or Providenciales’ trademark sunshine. For those who believe that privacy drives where you do or don’t go on vacation, The Shore Club’s forward-thinking design has A-listers in mind. Each suite has a matching air conditioned underground garage, a Caribbean first. Simply take your suite’s elevator to where your chariot awaits. 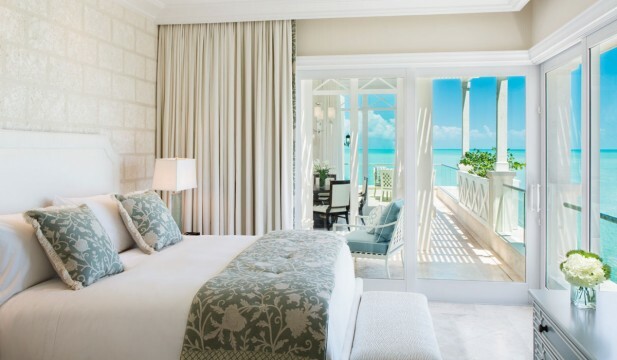 In other words, the Shore Club has thought of everything for making your Turks and Caicos vacation a picture-perfect escape. 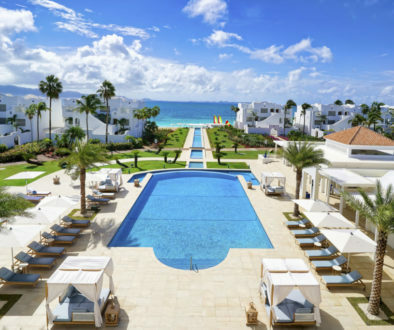 The Hartling Group knows that the Shore Club’s positioning just 10 minutes from legendary Grace Bay Beach is a best of both worlds proposition. 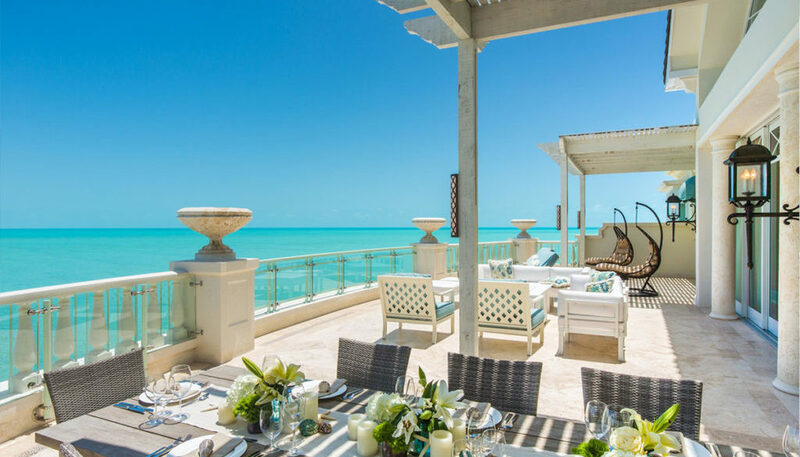 The Shore Club will arrange for you to access all the culinary, excursion, or spa amenities their Grace Bay Beach sister properties, The Sands or The Palms, have to offer. For the past 30 years, Grace Bay Beach was Providenciales’ only game in town. 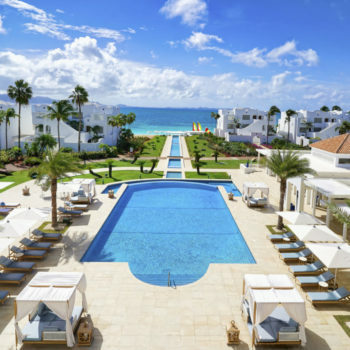 Now, for those seeking the ultimate in Turks and Caicos splendor, the Shore Club on Long Bay Beach is prepared to treat guests to a whole new level of island-style well being. Come visit the Shore Club on Long Bay, the new face of Caribbean luxury.